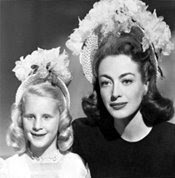 In 1978, Christina Crawford, Joan's adopted daughter, wrote Mommie Dearest and shocked the United States with her heart-wrenching story of what it was really like growing up with one of Hollywood's most famous leading ladies. 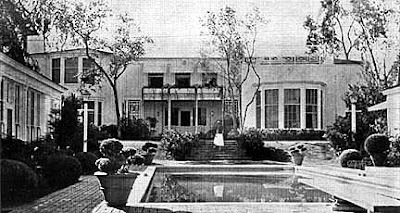 Mommie Dearest was on the New York Times best-seller list for forty-two weeks and was made into a 1981 film starring Faye Dunaway. 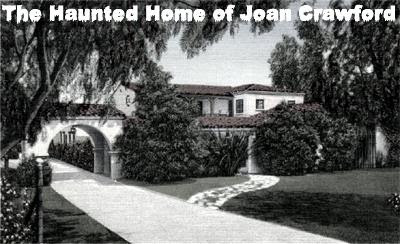 In 1989, we heard rumors of haunting manifestations in Joan Crawford's former home, and Christina seemed genuinely surprised that we knew about the stories. If you're interested feel free to send me an e-mail. I look forward to hearing from you! Excellent blog by the way!